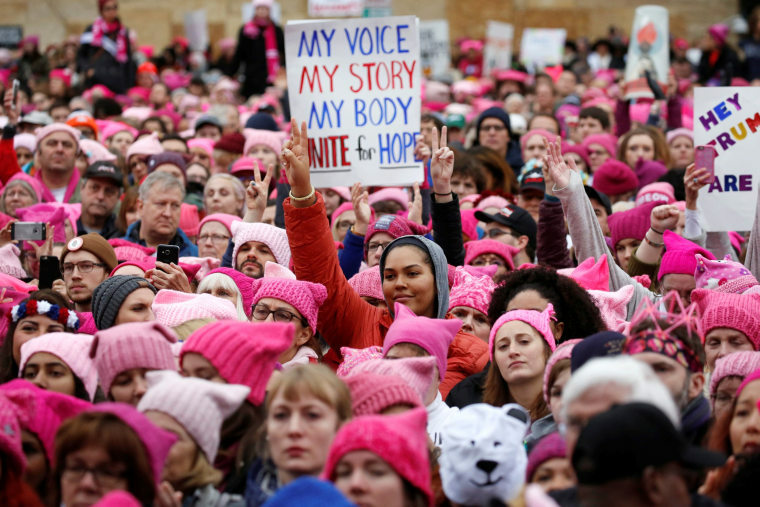 NEW YORK — This may or may not come as a surprise: Merriam-Webster's word of the year for 2017 is "feminism." Complicit, competitor Dictionary.com's word of the year. Recuse, in reference to Jeff Sessions and the Russia investigation. Empathy, which hung high all year. Dotard, used by Kim Jong-un to describe Trump. Gyro, which can be pronounced three different ways, a phenom celebrated in a Jimmy Fallon sketch on "The Tonight Show." Federalism, which Lindsey Graham referred to in discussing the future of the Affordable Care Act. Hurricane, which Sokolowski suspects is because people are confused about wind speed. Gaffe, such as what happened at the Academy Awards when the wrong best picture winner was announced. That was a go-to word for the media, Sokolowski said.